GIGABYTE Tech Daily: Don't Miss Dinos22 on The Next OC Show! Don't Miss Dinos22 on The Next OC Show! Next week's OC TV episode is sure to be a special one. 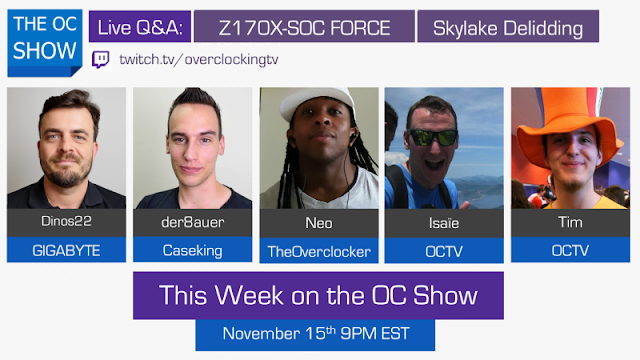 GIGABYTE's very own Dino 'Dinos22' Strkljevic, our Australian Marketing Manager, will be on the show for an in-depth discussion on our overclocking-focused Z170X-SOC motherboard.